As a holiday destination, Germany attracts visitors from all over the world because of its rich cultural and natural heritage. But what does Germany have to offer besides Cologne Cathedral, the Semper Opera House and Schloss Neuschwanstein? Check here to discover sights that you may not have been aware of. 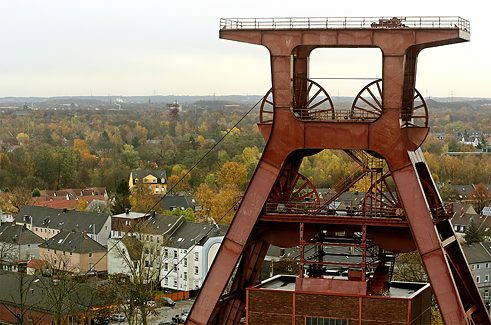 The Ruhr is virtually a byword for steelmaking, metalworking and mining. But there is much more to it today than that – especially in the city of Essen. In 2017 Essen was declared a “European Green Capital”. Thanks to a host of greening programmes, it is now the third-greenest city in Germany. Historical parks, modern green spaces and an extensive network of cycle paths make for an outstanding recreational experience. However, even today, the highlight of any visit remains the industrial monument and only UNESCO world heritage site in the Ruhr: the Zeche Zollverein colliery. 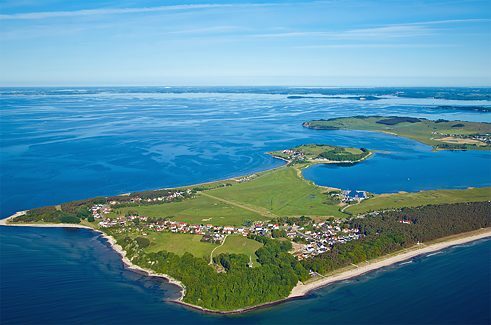 Just five kilometres off the south coast of Rügen is the Baltic Sea island of Vilm. 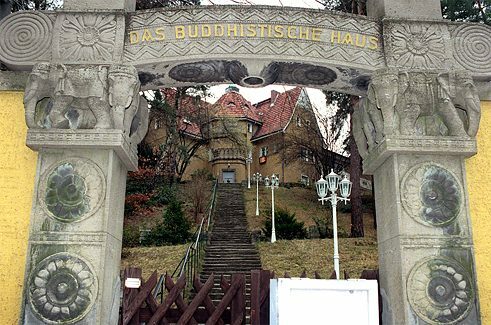 During the GDR era, it was a private retreat for high-ranking party functionaries. When Erich Honecker spent holidays there, the island was off-limits for all other visitors. Today, Vilm is a strictly protected conservation area. A paradise for flora and fauna, the 94-hectare island may not be visited by more than 60 people a day. 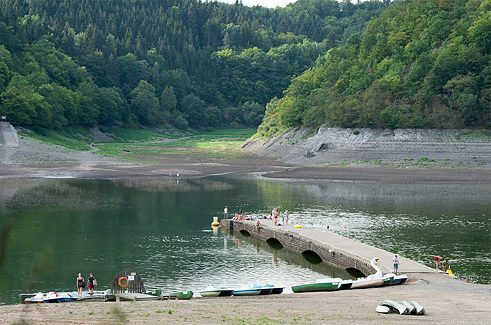 A special highlight for nature lovers: it has one of the last primeval forests in Germany. 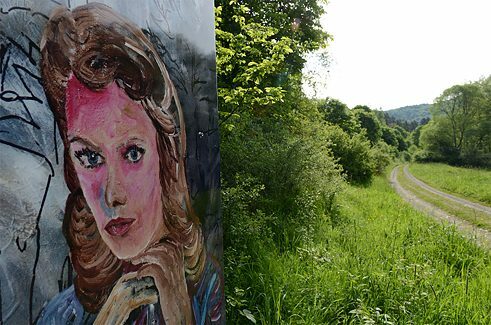 The Warzenbeisser Art Trail is a fascinating experience for art and nature lovers alike. Ten land art objects are integrated in the landscape along a 3.8 kilometre route in the Kellerwald National Park. What is special is that the dynamic character of the art project is underlined by installations made from perishable materials such as cotton or grass, which will revert to nature in the course of time. Incidentally, the art trail gets its name – Warzenbeisser – from a species of grasshopper. Anyone keen on photo safaris should definitely head for the Rakotzbrücke at Kromlau in Saxony. 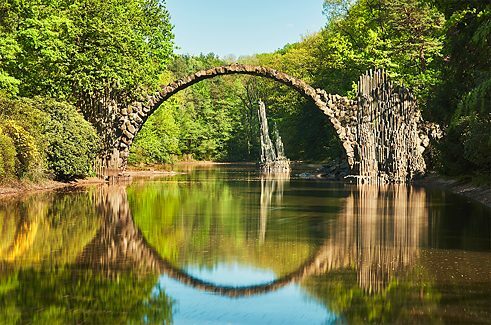 Built in 1882 in a landscaped park that is Germany’s largest rhododendron garden, the “devil’s bridge” forms a perfect circle with its reflection in the waters of the lake below. The extraordinary sight is made all the more magical by the basalt rocks thrusting out of the water. Babelsberg Studios and Bavaria Film City provide backdrops for many German and international movies. 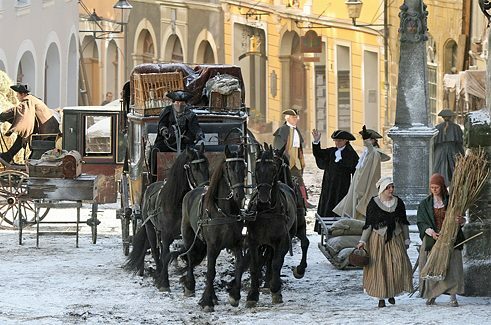 What makes Görlitz special as a film location, however, is the sheer density of heritage buildings. A particularly popular choice for historical films like the Oscar-winning “Grand Budapest Hotel” or “Goethe!” (pictured), Görlitz was voted Europe's best film location in 2017. Its burgeoning success has even prompted the city fathers to register the name “Görliwood” as a brand. Lake Eder in Hesse seems straight from a fantasy film. When the water level is low, the submerged ruins of three abandoned villages are revealed. Guided tours are then offered through the former streets of Bringhausen, Berich and Asel, where not only ruined houses but also parts of concreted-over cemeteries can be seen. With the construction of the dam across the Eder Valley in 1913, the three villages were flooded and the communities resettled. Also worth seeing is the small “Love Island”, a hideaway for courting couples.